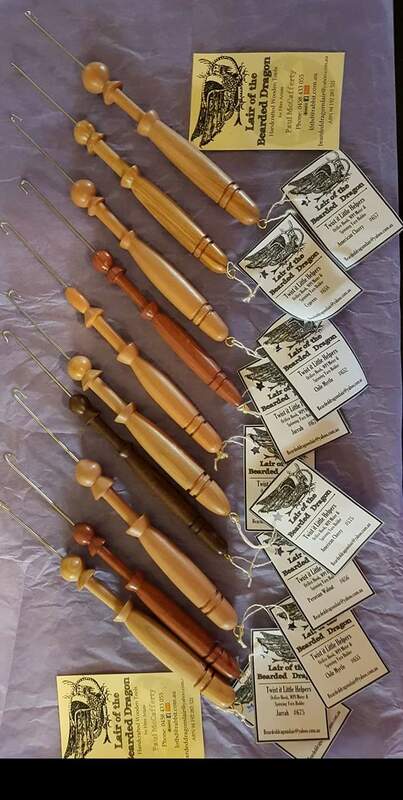 A variety of lovely hand-turned and finished Little Helpers available. Phone or email for current timber types. Acts as a spinners orifice threading hook, a WPI tool for measuring your wraps per inch, as well as a handy device for parking your ply-in-progress. Hand made by Paul in The Lair of the Bearded Dragon.